Hello all, hope you're well today. I purchased a Beocenter 7000 (type 1801) from a genlteman that had recently retired and was planning on leaving the country. He had purchased it back in '79-'80 and has had it stored away for almost 20 years if not more. I have been using an old Sansui system myself, but I have really fallen in love with this machine. It sounds phenomenal and its gorgeous. It works perfectly aside from one issue. 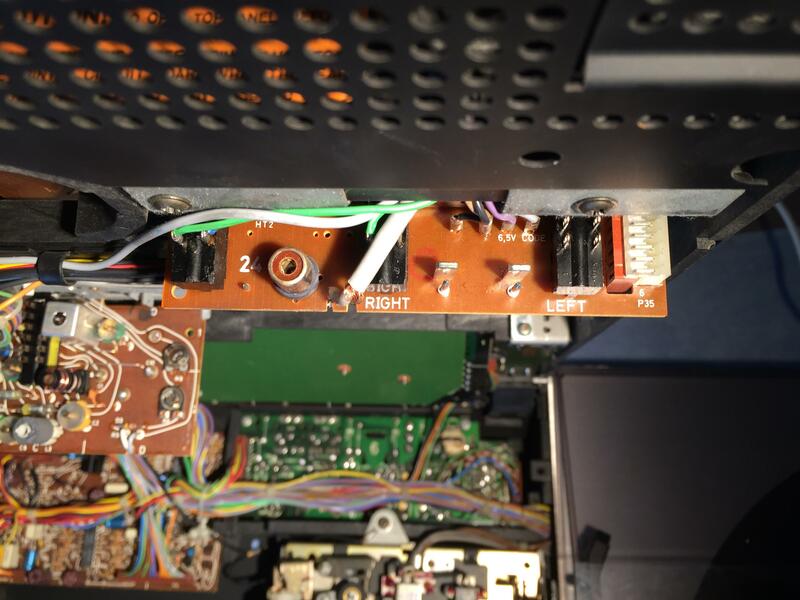 Through 15-20 minutes of playing/running the machine shuts off to standby mode on its own. The heat sink fins become very hot to the touch. I have tried running it with the speaker disconnected, speaker selection button disabled, and the volume at zero. Yet, the problem persists. I have even disconnected the cables leading to the output circuit (seen here and cables here). I recently found a local B&O store and too the machine there. 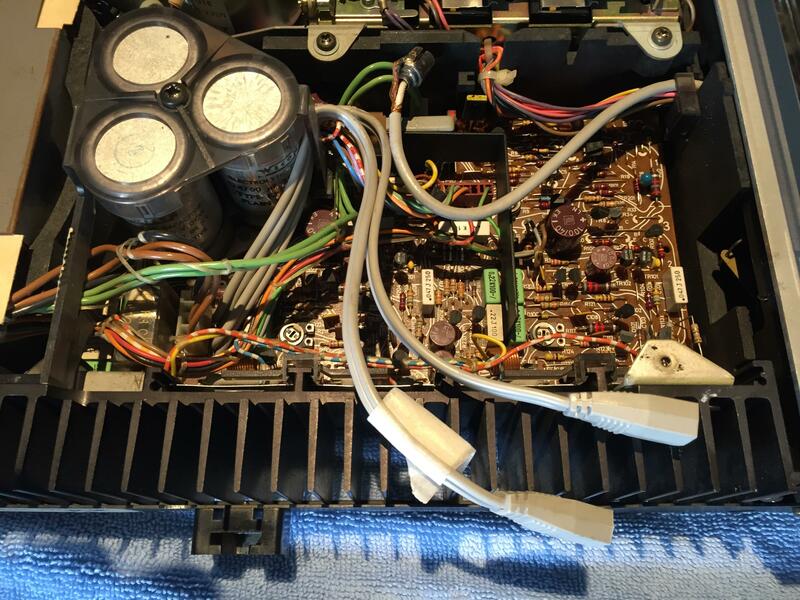 I discussed the problem technician; his diagnosis being that the problem is from the left output amp IC (Which he indicated to me on the schematic I had). Sadly, B&O stopped supporting the product and replacement parts are unavailable. 1. To ask for your second opinion if this problem is in fact due to the faulty IC seen in the schem above. 2. I am also not quite sure which of the number codes represents the component it need to find replacements for. I would like to replace both left and right channel ICs. 3. 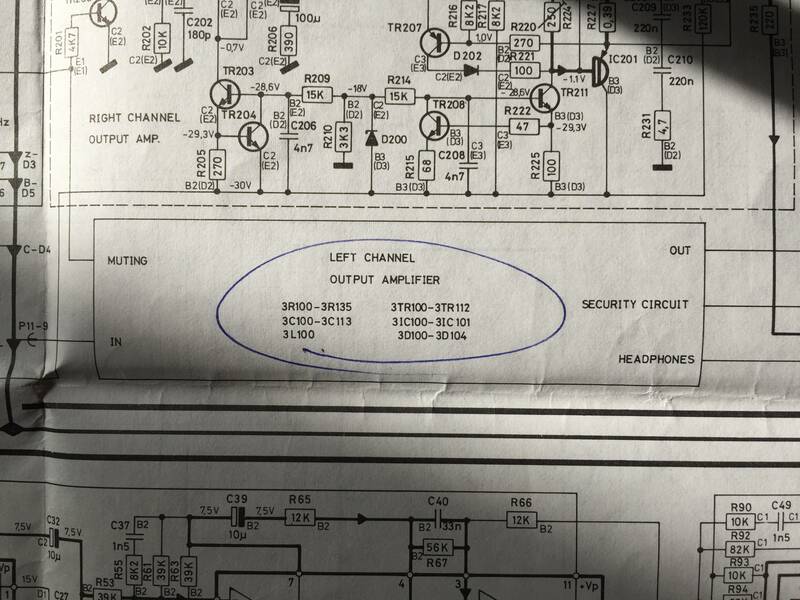 Would the replacement of the component have any impact on the tone of the sound? 4. Which brand of ICs would you trust in as a solid replacement? I would appreciate any help anyone can provide. I have come to really love Beocenter and want it to be able to utilize it to its full potential. - The Crabby Hermit in his den. to replace the idle current trimmers and adjust the idle current.